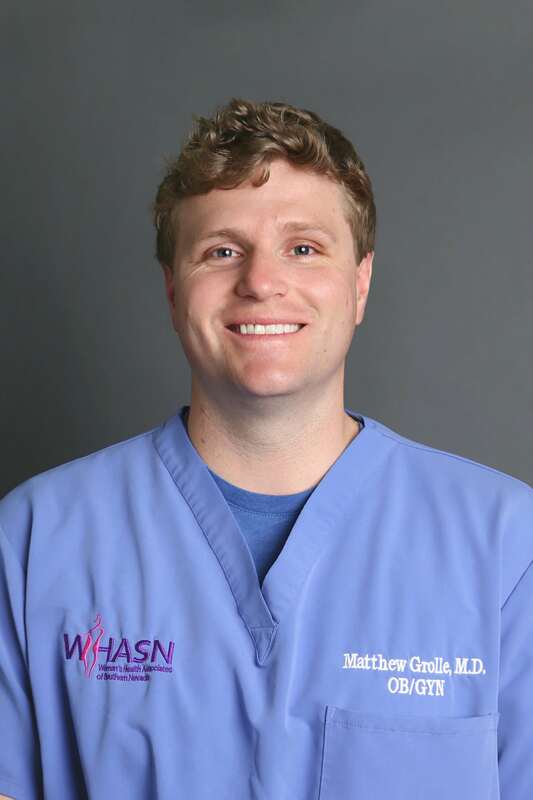 Dr. Matthew Grolle grew up in Mountain View, CA and obtained his Bachelor of Science degree in Human Biology from Stanford University in 2004. He worked as a clinical research assistant at Women’s Cancer Center in California before completing his master’s degree in 2009. Shortly after, he was accepted into the obstetrics and gynecology residency program at the University of Nevada School of Medicine. In 2013, Dr. Grolle joined Dr. Kord Strebel’s medical practice in Las Vegas, where he has continued his training in minimally invasive robotic and laparoscopic techniques. He provides compassion and complete care to women who are planning for a family or suffering from issues such as painful periods or uterine fibroids. He is most grateful for the opportunity to deliver babies and be part of such a special moment for his patients and their families.